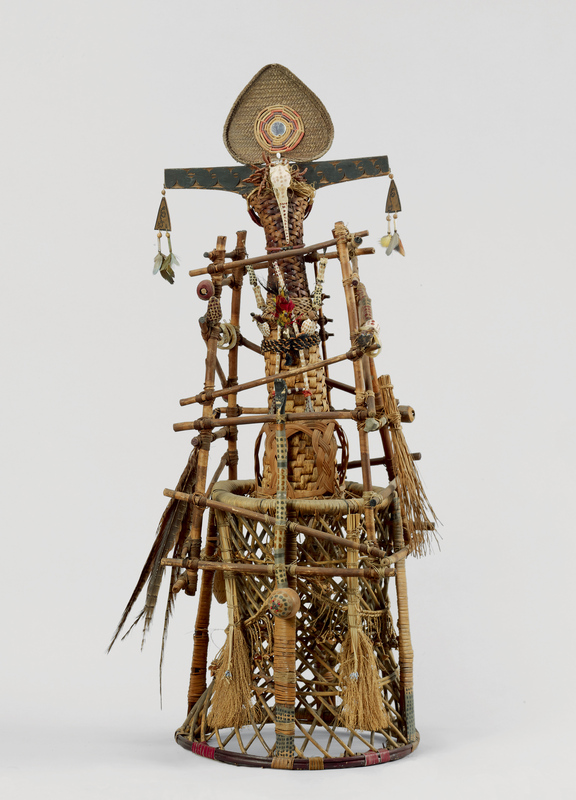 Spirit Catcher is a mixed-media assemblage— created from bamboo, bones, feathers, shells, and wicker—that was inspired in part by Simon Rodia's Watts Towers. The artist's conceptual inspiration for this work also comes from her first visit to Africa as well as Tibetan spirit traps, which were blessed by shamans and placed on roofs to ward off evil spirits. "Spirit Catcher." Now Dig This! Art in Black Los Angeles, 1960–1980 Digital Archive. Los Angeles: Hammer Museum, 2016. https://hammer.ucla.edu/now-dig-this/art/spirit-catcher.